Latinos in Architecture meets every third Thursday of the month at 5:00 PM at AIA Austin Center for Architecture. If you would like more information about how to get involved with Latinos in Architecture or AIA Austin, please contact Jose L. Figueroa, Intl. Assoc. 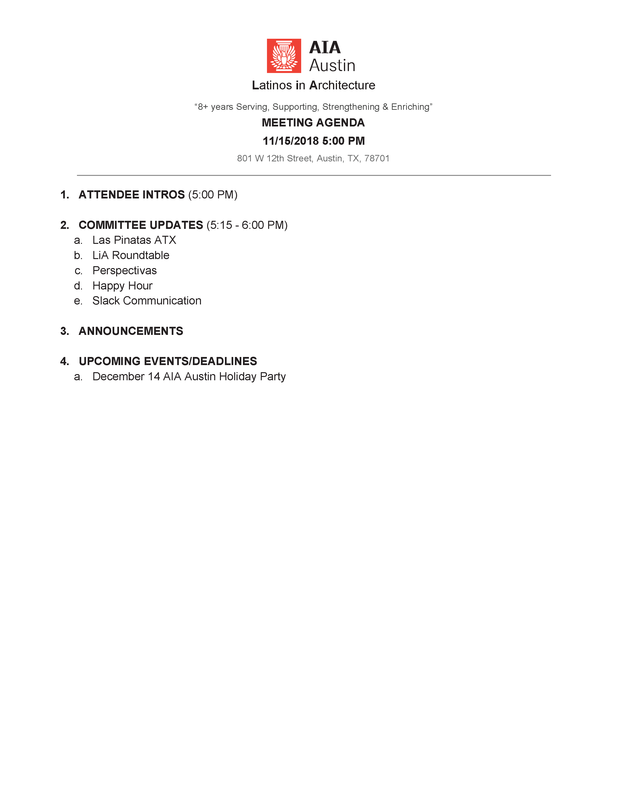 AIA or AIA Austin.